Congratulations to the NASA team that worked on the New Horizons Probe which made its fly-by of Pluto in mid-July offering the first up close pictures of Pluto. The Aerospace Nuclear Science & Technology Division (ANSTD) was founded in 2008, evolving from a technical group that was established in 2000. ANSTD was created to play an important role in the nuclear community by promoting the advancement of knowledge in the use of nuclear science and technologies in aerospace applications. Since its creation, ANSTD has grown to become a large division of more than 500 members (about 5% of all American Nuclear Society members). 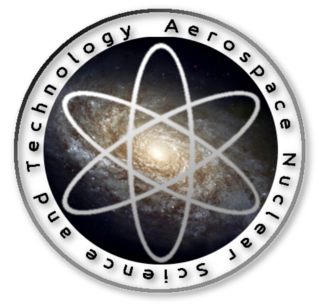 The Aerospace Nuclear Science & Technology professional division was established to promote the advancement of knowledge in the use of nuclear science and technologies in the aerospace application. Specialized nuclear-based technologies and applications are needed to advance the state-of-the-art in aerospace design, engineering and operations to explore planetary bodies in our solar system and beyond, plus enhance the safety of air travel, especially high speed air travel. Areas of interest will include but are not limited to the creation of nuclear-based power and propulsion systems, multifunctional materials to protect humans and electronic components from atmospheric, space, and nuclear power system radiation, human factor strategies for the safety and reliable operation of nuclear power and propulsion plants by non-specialized personnel and more.